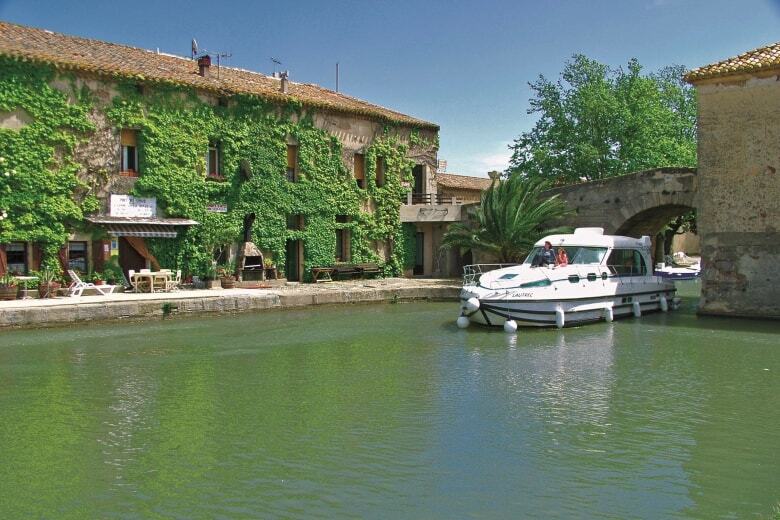 Don't hesitate to contact us by email or call us on +33 (0) 3 85 40 55 50 right now to book your next river cruise on the Canal du Midi in the Midi-Aquitaine area. Midi-Aquitaine is not the only area available with alpha-croisiere.com. Discover all the other destinations of river cruise that we can rent you. Rent with alpha-croisiere.com your boating holidays to enjoy one of our river and canal boats on the Canal du Midi or other Midi-Aquitaine waterways. We offer the largest selection of barges on the market. Consult the list of all our river and canal boats available in Midi-Aquitaine and on the Canal du Midi to find the most suitable for you and contact us for more information. Even as far back as Roman times they dreamt of connecting the Atlantic to the Mediterranean, but only in the 17th Century did Pierre Paul Riquet manage to convince Colbert and Louis XIV that this was possible. At 240km long and running from Toulouse to Etang de Thau, the Midi Canal incorporates 64 locks, 55 aqueducts, 7 navigable aqueducts, 126 bridges and other sluices, spillways and troughs totalling over 350 engineered structures! 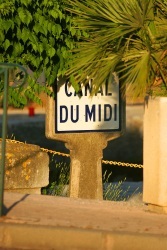 The Midi Canal was listed as a UNESCO 'Wonder of the World' in 1996. 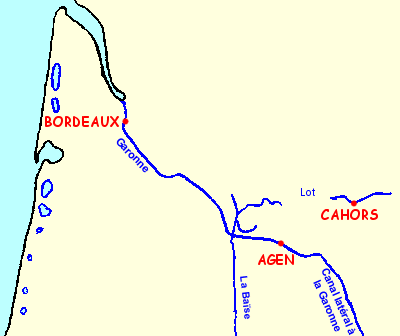 It runs to meet the ocean in the west by means of the Garonne Lateral Canal (193km, 53 locks) and to join the north-south network in the east via the Rhône-Sète Canal (97km, 1 lock). 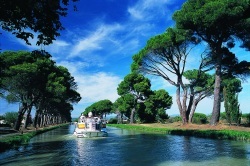 The Midi Canal is Europe's most famous navigable waterway and has been in operation for the past 3 centuries! Its towpaths are edged with plane trees, some of which are three hundred years old, with over 45,000 trees originally planted along the canal. Enjoy the superb hillside landscapes the canal has to offer, as well as some truly charming stops providing an opportunity to explore the towns and villages along its banks. the Lot, comprising the Lot Aval (73km, 7 locks) and the Lot Amont (74km, 17 locks), to the north-west. The region is also very easily accessible by road, rail and air (regular and low-cost routes). 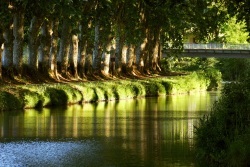 The Midi canals abound with sun, gastronomy and culture, not to mention a very typical lifestyle, accent and landscapes. After all, who hasn't heard about foie gras, magret duck fillets, cassoulet, Toulouse sausage, truffles and Agen prunes? Enjoy a delightful stroll around the markets, sampling the local peaches, melons, strawberries, cherries, grapes, tomatoes and other fruits and vegetables hand-picked by the farmers themselves that very morning! Just a few hundred metres from the Rhône-Sète Canal, or even the Robine Canal, you will get the opportunity to bathe in the Mediterranean or relax on its sandy beaches. This magnificent canal is a real testimony to the true creative engineering of Pierre Paul Riquet: each lock, bridge and structure both a technical and an engineering structure. Long before his time, other civilisations had built fortresses and salt marshes and planted vines and olive trees. Sailing your boat through the Camargue you will find flocks of pink flamingos take flight and see the oyster farmers at work in the Etang de Thau lagoon, the salt-workers harvesting salt and herdsman on their white horses herding their black bulls. Moving on to Languedoc, you will get the opportunity to roll up your sleeves and try your hand at some vine work and even, if you happen to be there at the right time, grape-harvesting. The heritage of the extensive Midi-Aquitaine region is so vast that the list that follows is really only a modest sample that is representative but certainly not exhaustive. There is far more to the small town of Sainte Marie De La Mer than its famous pilgrimage. Indeed, the town plays host to over forty events every year, so you can be pretty sure that your visit will coincide with a Féria or an Abrivado of some kind. Aigues Mortes, a fortified town surrounded by marshland, was used by Saint Louis as a base from which he set off on his crusades. Why not disembark for a little while and take a land train or a 4x4 to explore the 10,800 hectares of salt marshes, or perhaps even visit a horse herd. Sète is a good place to stop to bathe in the Mediterranean or to visit the fishing port (the first in the Mediterranean). At the gateway to the Etang de Thau lagoon, this stop provides an opportunity to visit the small-scale shellfish farms in the area, and of course, it's a well-known fact that the sea air gives you an appetite, so don't forget to sample the local bourride de baudroie monkfish stew, bouillabaisse fish stew, mussels and stuffed squid, macaronade beef stew, tielle octopus pie and rouille de seiche cuttlefish stew whilst you're here too. The City of Carcassonne is a UNESCO World Heritage site, offering a great opportunity for young and old alike to take a step back in time as they explore the remarkably restored battlements of France's second most popular tourist site. Castel Naudary, the world capital of both cassoulet and Catharism, and its various monuments await you on the banks of the Midi Canal. This is also where Clément Ader flew the first plane. Toulouse, the pink city of which Claude Nougaro famously sung, is home to no fewer than seventy-four grand town-houses and a great many religious buildings. St. James's Way, which includes a stop at the basilica of Saint Sernin of Toulouse, is now a UNESCO World Heritage site, and Toulouse is also known as the birthplace of Airbus aircraft. 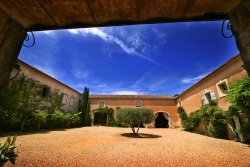 Also along St. James's Way, Cahors has been recognised as a City of Art and History since 2005. Nestled within a broad bend in the Lot, this medieval city is the perfect stop, providing an opportunity to explore the historic cultural and gastronomic heritage of the area.